How many of you have (at one time or another) experienced cancelling a very important meeting or highly anticipated trip with your friends or family because of a stabbing toothache? Tooth pain is a common dental problem that is viewed by many as their worst enemy since it can render anyone uncomfortable and vulnerable. This oral health problem is often the number one reason why we visit our family dentist in Sydney. 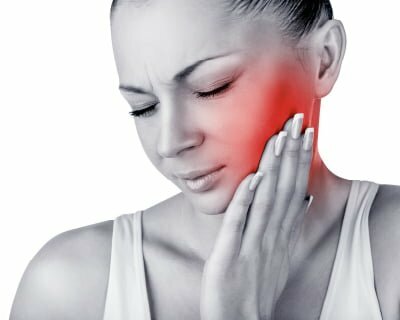 Why do we suffer from toothaches? Below are four reasons why your teeth may hurt. Periodontitis and gingivitis are diseases characterised as infections of the gums that surround the teeth. These infections eventually cause receding gums and bone loss. When the gums become detached from the teeth and form pockets that are filled with bacteria, the roots are exposed to plaque, thereby making your teeth more susceptible to decay or rendering them sensitive to heat and cold. People with sensitive teeth are recommended by dentists to use a desensitising toothpaste that helps strengthen the enamel and relieves pain. A tooth abscess is an infection caused by the build-up of bacteria inside the pulp chamber which becomes infected. This infection may spread to the root of the tooth or between a tooth and the gum, causing tooth decay, trauma to the tooth or worse, gum disease. The sooner you learn that you have an abscess, the better your chance at preventing your teeth from deteriorating. You are a constant teeth grinder. Do you often grind or clench your teeth? Bruxism, commonly known as teeth grinding and clenching, loosens or fractures your teeth and causes jaw pain, headache and discomfort. Approximately 80 per cent of teeth grinding happens at night while sleeping. Constant teeth clenching and grinding may wear your teeth down. Hence, if you suspect that your teeth grinding and clenching may result in tooth loss, consult your dentist. Decay under or around fillings may cause them to break, fall off or wear out. When you lose a filling and you accidentally bite down on the exposed tooth while eating, this causes stabbing pain. The area may also become sensitive to temperature until such time that the filling is fixed by a dentist. Having toothaches can be distressing when you don’t know what’s causing them. Hence, you need to consult a trusted dentist who can help you analyse any dental problem that may be causing you pain. Once the problem is diagnosed, your dentist will explain to you the necessary procedures (e.g. extractions, fillings and root canal treatment) to fix it and prescribe medication to alleviate the symptoms. Schedule an appointment with a trusted dentist, contact Marsfield Dental Care today. Whether you need a tooth extraction in Sydney or a root canal therapy, Dr Mary Choo and her friendly staff can tailor a treatment plan that is specific to your needs.